I have been testing out the InVision Inspect feature, uploading sketch files using the Craft plugin. Our files use a lot of nested symbols, when selecting repeated elements that are inside sketch symbols, the selection jumps to it's parent element at a different position on the page. See attached image to illustrate. Any ideas why, or how I can avoid this? I'm happy to open tickets for each of you with our Support team so that they can gather more information from you in regards to this issue. I will also be sure to bring this up with our Product Manager in our next meeting. Please be sure to look out for messages from our Support team soon. Thanks for hanging in there while we investigate this issue. Sorry to hear that you're encountering this issue. I've encountered a similar issue in the past and have had to detached from symbol to see if it was my nesting, do you still have the same issue when you select Detach from Symbol? Having this problem in many of my projects as well. Very hard for the developer to stay oriented when the highlight is in the wrong position. I have been meaning to come back to this as well. Having to detach symbols in our sketch files before we upload to InVision is not really an option for us. It defeats the purpose of the symbols as any changes needed in the sketch file are fast and efficient when everything is set up as symbols. Are there any plans at InVision to fix this – it seems like a pretty big problem with the Inspect feature? It does run a detaching process before upload but its not working correctly. Thanks for chiming in on this issue. Our Support and Engineering teams are aware of this, and I would like for them to acquire some more information from each of you for further testing. I will open ticket on each of your behalf with our Support team so they can dive a bit deeper. Please look for a message from them soon. I apologize for the inconvenience this may have caused. Let us know if you need anything else in the interim. And what is workaround for now? Same issue on my projects, even with the most basics symbols, no deep nested symbols. Tried different browsers as well. It seems to work fine when everything is detached but then we loose all the good things behind symbols, components and design system thinking. Hope there is something on the go to fix this issue. I'm experiencing the same issue too. My prototypes used to work, but it seems like the new version of Craft broke it. Been making copies of pages I need to hand off, detaching symbols and uploading the 'broken' copy. I can handle this workaround in the short term, but symbols are a cornerstone functionality that InVision/Craft need to be able to process. We're having the same issue and have to detach all symbols before uploading to InVision, which isn't a realistic process for regular updates. All of our symbols are referenced from an external library and most of the symbols are comprised of other, nested symbols. Also reaching out to support. Thanks for adding your input here, as well as opening a ticket with Support on this issue. We will be sure to add to this Community thread with any updates on this issue in the future. "What we see is that where the same symbol is used multiple times on the same artboard, although the symbol is broken out to its' constituent layers in Inspect, selecting any instance of that symbol always only selects the layers for the first instance of that symbol. This is a problem that we have become aware of and that our engineering team are working on, as soon as we receive an update on their investigation we will be sure to share it with you here. I am afraid that at the moment the only way to select these layers is to pick them from the layers sidebar, rather than highlighting them on the canvas portion of the screen." In the meantime, we are still planning to break apart all symbols on the page before uploading to Inspect. Thank you very much for sharing this with the rest of the Community. If anyone else is experiencing this issue, please contact our Support team directly here so that they can gather more information around this issue, and keep you in the loop on a possible resolution. I am experiencing the same issue. For me at least it is the Anima Plugin that is causing it. When using Craft to upload it does the "Anima Publishing" first and then seems like it "forgets" to expand the symbols before uploading. Like its assuming that Anima does that, but it doesn't! I have written to Anima regarding this bug, but there doesn't seem to be any progress. Even the new V3 Beta of Anima still shows this behaviour. If you disable Anima and upload using Craft it correctly shows the contents of Symbols. I rely on Anima for stacking and padding, but I am ready to find alternatives. Thank you for adding your feedback about this issue here in Community, as well as for opening a ticket with our Support team. It appears as if you are already working on this issue with our Support agents. I have notified them of your comment here in Community, and they will be able to best assist you moving forward. Arminz is true, the Anima plugin creates a conflict, I use Craftmanager to upload my artboards to invision, I hope they solve this problem. Thank you! I can confirm this is related to an uncovered issue when the Anima plugin is enabled that's been escalated directly to our Engineering team. Our team is working closely with the Anima development team to improve the user experience and ensure the two plugins don't negatively impact one another. Make sure both Craft Manager and the Anima Toolkit are kept up to date, as the teams are pushing out updates quite frequently. In the meantime, the only known workaround is to disable the Anima plugin and syncing the specific artboards experiencing the issue. Then once completed, toggling the plugin back on. I completely understand how this is a less than ideal solution, and I really do apologize for any disruption this has caused you and your colleagues. I'll open a ticket wth Support on your behalf so that you'll be notified directly as soon as there are updates from the team. Just add a toggle on Craft to disable the automatic triggering of the Anima export processing before the Invision upload. How can it possibly take a year to implement this? I just wanted to drop in here and let you know that Shaina, our Community Moderator, will be bringing this issue to the attention of our Craft product manager in the next few days. We do everything we can to advocate for our Community members, so thanks for voicing your thoughts here! 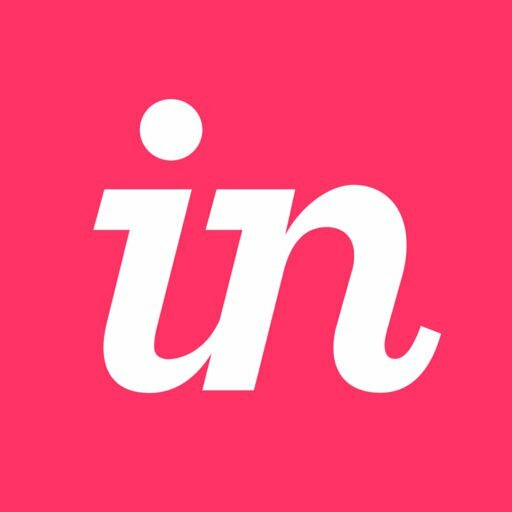 I worked with InVision Support team member Patrick Binns over the past few days to find a solution to this. Currently it is only a work around. Here's his answer and solution. "There is a known issue where groups/symbols that have the last layer as a line/path layer will not appear in Inspect." What I went ahead and did to work around this (specifically with that arrow symbol) is to go into the Symbols page of your document and noticed that both symbols...ended with a line/path/vector layer. From here I found it easiest to edit these master symbols by adding a text layer as the last layer and hiding the visibility. Below is how it looked on the master symbols page:"
This issue has been passed to the Engineers. "Like I had mentioned this is a known issue, and our Engineers are investigating this and working towards a permanent solution. I know this work around is far from idea, especially in more complex Sketch files, however I did want to let you know so you could be mindful when creating groups and symbols and how it will affect how it appears in Inspect for the time being with this issue still being investigated. I have let our Engineering team know you are experiencing this as well, and as soon as we have an update on a resolution from them, we will reach back out and share it with you here. Please let me know if you have any other questions in the interim." Thank you very much for posting this information for others who might be running into this issue! This will certainly help them out.